It’s no secret that I love stationery and planners. 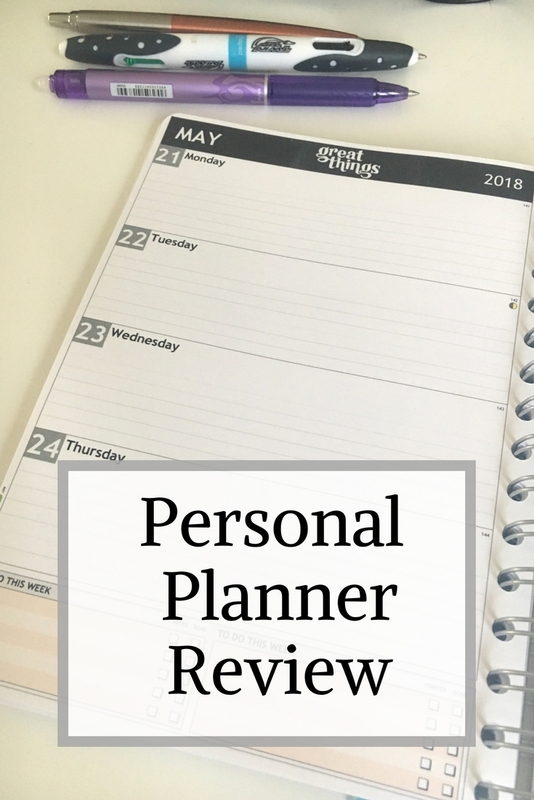 I have reviewed a Personal Planner before on the blog, and was very happy to review another. I have had a happy year with my bullet journal merging both my blog planning and personal planning together, however I wanted something just for my blog again. Personal-planner.com have a wide range of options for designing a planner to suit your needs. From mini planners, A4 planners to wall planners, there is something for everyone. My personal choice is an A5 planner with a week to view as this design and size suits me. When arriving at the website, you are given some very clear options to design your planner starting with the size required. I love that the prices are also available right at the beginning so you know what you are dealing with. Once you choose your ideal size, then it’s time to customise the design of your cover and the inside of the planner. There is so much choice that I would recommend not doing this step in a hurry as you want to get this bit work well for you. There are options to personalise your planner, add patterns, choose a variety of layouts, the lists become endless. I love that you can virtually view your planner on the screen which will show you what you will receive. I knew what I wanted in a layout but hadn’t been able to find it elsewhere, so I was very happy to be able to see my week to view on an A5 design right in front of me here. 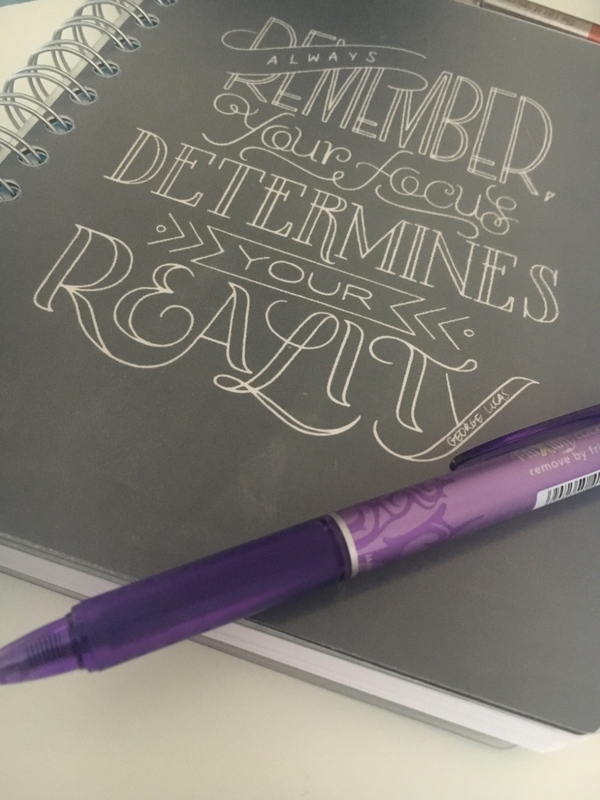 After your design is complete there are options to include add on’s such as stickers to make your planner pretty, a ruler is also included, just select your colour choice. A range of pens and clear sleeves are on offer at a reasonable add on charge. I decided to start my planner in the month of October, which isn’t traditional at all, however it suits me, as there is nothing worse than getting a sparkly new planner and having to wait to use it. My planner also includes small boxes at the bottom of the pages for to do lists and notes, with a small overview of the month for reference. As the cover has a thick plastic outer sleeve on the back and front, I know I can put my planner in my bag and the pages won’t get bent or curled. My planner cost £22.90 and I am very happy with the product as a whole. It’s very good value for money and is working out well for me in my blog planning already. Equally I can see the appeal for using for personal use. If you’d like the chance to win your own planner, then please enter below. I’m so fussy when it comes to planners so one I can design for myself really appeals. My ideal planner would have a page of month to view and then weekly spreads similar to the one you have chosen. Week to view diary, meal planner and stickers for marking special days etc! Meal planner, mood diary, week to view with stickers! Blocks for bills due, daily meal planning/food log, cleaning, to do list and in the sidebar medical and gym trackers and a shopping list. Each month begins with a monthly overview that helps with future planning at a glance. room for all my lists! I like a big section for Noted and in a bright colour section important things to do and remember. My planner would have to include my to do list and all my sons after school clubs! My ideal planner has space every day to write the jobs I need to do, not just appointments/meetings I have to go to. Space for a to-do list for each day and a place to write in birthdays! I seriously need this planner in my life. Please help me be more organised in 2018! a diary, to do lists, meal plan, colour stickers, monthly calendar at the start of each month in the diary. I LOVE the idea of being able to personalise and design my own planner. I’d ideally have an A5 size with a very pretty floral front cover, with elegant writing, and have the inside be day-to-view, with a section for notes/lists and a page with the overall calendar for the year as well as a list of important dates/holidays. My ideal planner would include space for to do lists! Places for to do lists and food planning! room for lots of lists! For me it would be enough space to include multiple freelance jobs, as well as personal appointments, a meal planner and reminders! My ideal planner would include mindful activties. a seperate birthday section for each week/month would be fab… theres nothing worse than birthdays taking up the space for my important appointments ect! My ideal planner would have a to do list and a shopping list. My ideal planner would include a page for birthdays, addresses and a do list section for each week. A birthday section and address section. Also a separate section for notes as I can be forgetful! Stickers would be a bonus! And my ideal planner would have a to do list or a shopping list section! Each month with whole view pages – one for work, one for home, one for misc and lots of to-do lists, ideas pages and a raft of priority stickers. I love sections to put notes – as well as sticky notes! A mini PA… that pops out like a Genie! Mine would include divisions for each family member, which would be especially useful to keep track of my 5 year old’s social life. It would have space for to do lists and a little box to check off when done. It would have perferated corners so that I could easily find the current date. And stickers, colored pens, and post it notes because you can never have enough of any of those. A meal planning section that lasts the year! A double bonus would be a designated Christmas planning bit somewhere at the back. Space for weekly shopping lists, birthdays, pet flea treatment dates, all appointments and a little bit for hopes and dreams. Space to write lists and notes. A section for everyone’s birthdays. I would be lost without a planner and I can’t leave the house without mine, when I buy a new bag it has to big enough for my planner ! Lots of space, public holidays home and abroad and a calendar for the next 2 years too. A list space with tick boxes! I love a planner that has a month at a glance and a week on two pages. I also like it to have lots of note pages. I would need stickers, to highlight different tasks, and week to view pages. I’d also need a section for my lists (shopping and gifts etc). Could do with this. I need to get more organised. A space for extra notes, also an address book included. So many things, meal plans, blog plans, personal plans it would be really large! Section for ‘me’ time to be able to enter some FUN stuff! It would need to have lots of space for meal planning, space for all the kids and our appointments, somewhere for me to scribble/sketch too would be perfect! Lots of space for shopping and to do lists. These sound great. I love the extra space you can build in for notes and lists. I’d also need room for my training plan! To do lists – can’t go wrong! A space for names and phone numbers, a to do list and space and stickers. My niece is panning her wedding for next year. This would be so great for her. Plenty of room for notes where I can write lists etc! A daily to-do list note section. Meal planner section and lots of shopping list sections! My ideal planner would include a to do list, colour coded sections, a calendar, birthdays and recipe section. A year ahead, details of special days e.g. Bank holidays, Mother’s Day etc. To do lists, and hourly appointment slots. A To Do list, birthday and key dates section! This looks so good and useful as I am so disorganised! Coloured stickers for remembering special days and meal planners would be extra helpful . My ideal planner would include a page for random thoughts! space for lots and lots of lists! A shopping list would be fab. I could really do with a planner ???????? Enough room to write to-do lists for the day, and a shopping list for each week! Include space where I can record moods / food eaten to see if there’s a pattern. An alarm lol! I’m useless without millions of alarms going off on my phone all day haha. seriously thought a perfect accessory for a planner has to be an attached pen so you cant lose it. A week to view one side with the otherside full of space for scribblings. And stickers!! lol. I would like to have a shopping list and a weekly meal planner. To do list, week by week view and a shopping list section. 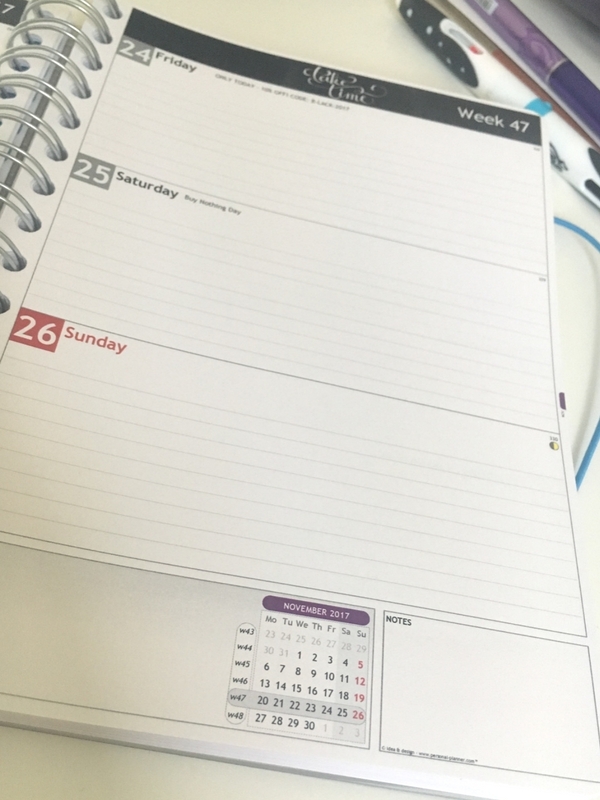 I forgot that you could choose the month your planner starts with these guys – I ended up settling for an academic planner – I would have the 2 different sections so I could place both of my jobs in it and also a to-do list – quite often it gets copied on to the following weeks to do list but the good intention is there. birthday section, stickers to mark important events, and menu planner would be great! I love week to view pages but what I like about this one is the month on each page too. A weekly shopping list section. A page for each day, plenty of space for appointments,etc.